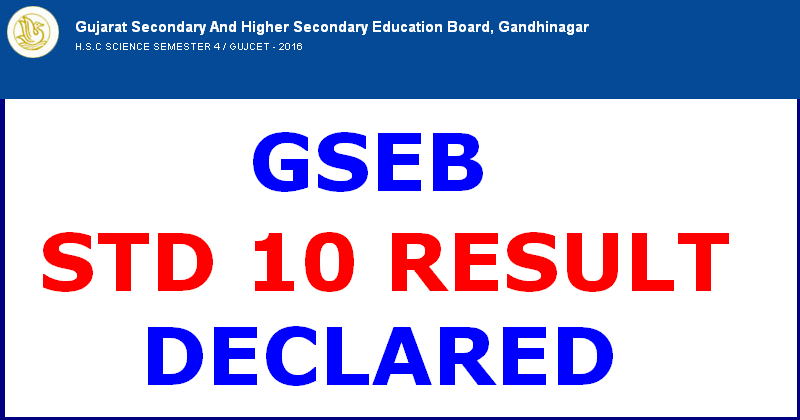 Gujarat State Education Board (GSEB) published an official SSC Board (Standard 10) result. 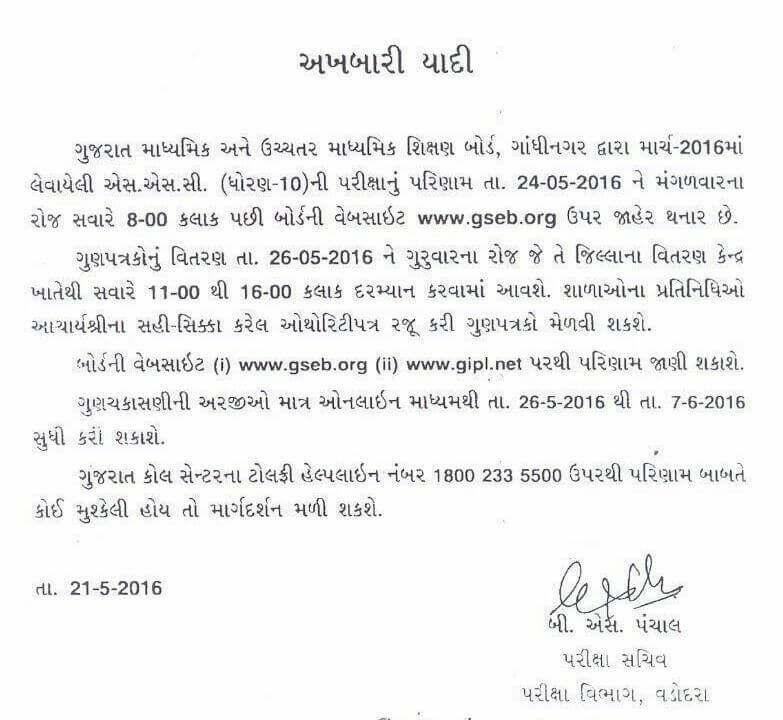 SSC Exams 2016 was held on March, 2016 in Gujarat. As per this notification, official result will be available online Now. SSC Board (10th) Result will be available on websites. Candidates can apply online for mark checking procedure from 26/05/2016 to 07/06/2016. More for information on this result, you can contact tall free helpline No. 1800 233 5500.